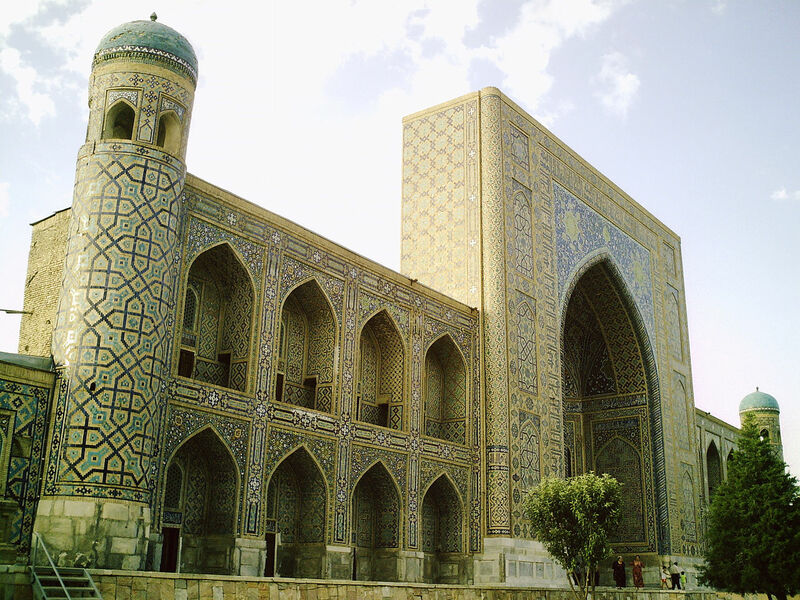 The Registan was the heart of the ancient city of Samarkand of the Timurid dynasty, now in Uzbekistan. 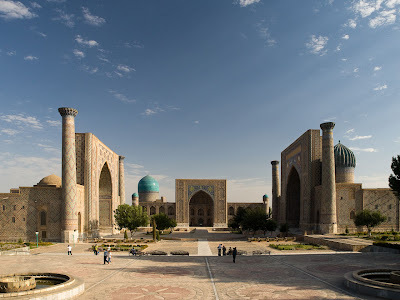 The Registan was a public square, where people gathered to hear royal proclamations, heralded by blasts on enormous copper pipes called dzharchis - and a place of public executions. 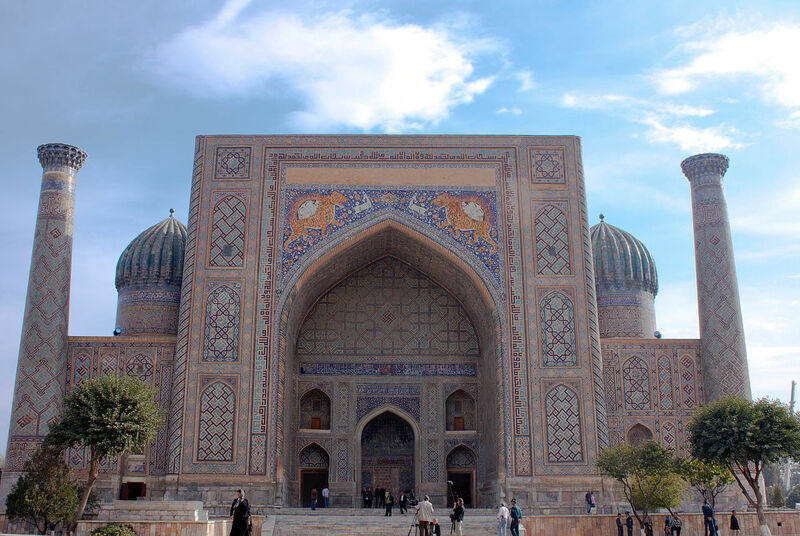 It is framed by three madrasahs (Islamic schools) of distinctive Islamic architecture. During centuries Registan Square was the center of Samarkand. The word Registan means “sand place”. There was a river running there many ages ago, before building the first Madrassah on the square. 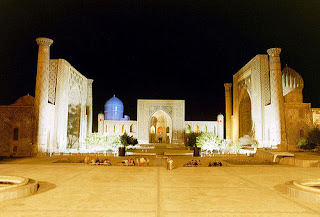 Years passed, the river dried out and left lots of sank there, that was the first place where the first Madrassah was built in the beginning of the 15th century and named Registan square. As the Madrassah was first built, all the holidays, parades, festivals and Sunday bazaars took place. The ensemble consists of three Madrassah: Ulugbek Madrassah (15th century), Sher – Dor Madrassah (17th century) and Tilla-Kari Madrassah (gold covered)(17th century). Madrassah– is the Muslim high educational institution. Only the boys from reach families studied there. The training lasted for 10, 12, 20 years. It was up to the discipline the student selected. The main discipline for all of them was Learning Koran. The rest of the subjects were not obligatory and could be selected by students. Note: If you have any places in your mind....please free to inform us.